This week’s news has brought a new level of awareness of the times that we are living in. What takes my breath away is the speed in which the events are happening; that they are happening before our very eyes; and that they are in fact leading us to a one world system of government; where the Anti-Christ will set himself up before the whole world to be worshipped. More and more we see a full out war on Biblical Christianity. Just as early as this morning I read that a Federal District Court Judge ruled that the National Day of Prayer is UNCONSTITUTIONAL. Some of you may be thinking that it’s no big deal, that we have been here before, that it will be overturned….maybe so, but I would repeat the words of Jesus when he says….be not deceived...We are now living in a day where good is evil and evil is now good. The Biblical standards on which the Constitution and the Bill of Rights were written are quickly being shredded before our eyes. It is just a matter of time before the entire national landscape is completely changed, and not for the better. Last year we were all infuriated by the Homeland Security report that suggested that Christians could be classified as a domestic terrorist threat. This report is unbelievable! The fact that we have terrorists living in this country at all is shocking, but to have our government remain silent on the issue, and allow it, well that's more than insane, it's highly suspicious! “Meet the most dangerous Islamist in the world. According to the report, his name is Fethullah Gulen. He is neither Afghani nor Arab. He comes from neither Sudan nor Somalia. And he resides in neither the mountains of Pakistan nor the deserts of the Palestinian territories. Dozens of his universities, including the Faith University in Istanbul, train young men to become lawyers, accountants, and political leaders so that they can take an active part in the restoration of the Ottoman Empire and the Islamization of the Western World. He also allegedly operates compounds to train jihadists in the tactics of guerilla warfare. This individual has amassed a fortune – over $30 billion – for the creation of a universal caliphate. “Why has the federal government opted to turn a blind eye to Gulen and his mountain fortress? Food for thought: It is inconceivable to me how a man like this is not only allowed in the United States, but actually lives in the U.S……this just goes to show how trustworthy our government officials are, NOT….in my opinion this war on terrorism is a joke….to me it’s all about creating chaos in order to gain control over the people of this nation and the world…..all the laws passed post 9/11 (that we so naively thought were created for our safety) are nothing more than a smokescreen to bring us to where we are today….a country losing its rights, its freedoms, its sovereignty and any future we might have as a nation, provided the Lord tarries – God forbid! This brings me to the next article I read this week…. While our government is busy trying to destroy the foundations of our country: our Constitution; our freedoms; our economy; our right to live; our right to pray….there is something more sinister brewing...a march to stomp out Christianity. Reports and policies are being written suggesting that Christians are a National threat.....that we are a threat to foreign policy....to the military... they are declaring Bible believing Christians to be not only domestic terrorists, but international terrorists as well..... This report actually takes us to the next dangerous level. While known terrorists are allowed to live and prosper in the United States without any government interference, ….we Bible believing Christians, who believe in the literal translation of the Bible, and who believe in the rapture of the Church are now the very targets of the U.S. Government….we are the “threats” and the “terrorists”!?! The 61 page report was written by military official, a Major Stuckert who states that Christians who believe in the second coming of the Lord Jesus Christ are “problematic” for military leaders…we create “potential vulnerabilities” and “interfere with U.S. government policy objectives.” He also goes on to say, "Military leaders and planners may take action now to mitigate the effects"? Does he propose that we Christians be rounded up and put in all these FEMA camps (that supposedly don't exist)? Just how does he plan for the US military to "mitigate" the effects of us Christians? This statement is downright chilling! Major Stuckert states in this report that, "Military leaders and planners may take action now to mitigate the effects?" What does that mean? What do they plan on doing with us????? In this latest report, Major Stuckert specifically targets the holiness and Pentecostal churches; as well as the Assemblies of God; non-denominational churches; and Independent and Southern Baptists....anyone who believes in the Second Coming of Christ is targeted in this report. This is nothing more than a continuation of old brainwashing techniques...only now (whether knowingly or unknowingly) they are imposing the satanic philosophy of good is evil and evil is good. Satan is clever and the masses are biting into the same apple of deceit that brought sin into this world. If they can sway public opinion by creating lies, they can also change public policy by creating laws that just might make Christianity illegal in the future. Is it starting to feel like you live under Communism? 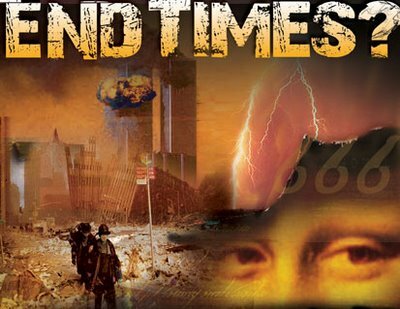 Actually, it’s much worse than that….I believe that we are very near to the end, what is known as Daniels 70th week…when this world will go through a 7 year tribulation period as God pours out His wrath on the sons of iniquity. We are not there yet...but we are surely coming closer with each passing day. That said, there is also good news for the Church! 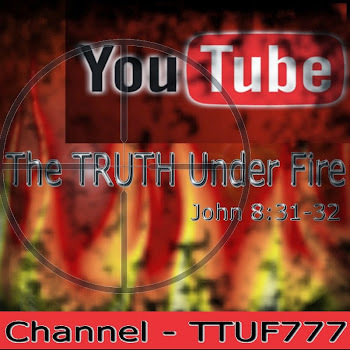 I believe in a pre-tribulation rapture of the Church! I don’t believe that God’s children, the bride of Christ, will endure God’s wrath which will be poured out upon the face of the earth to those who have rejected Jesus Christ and have worshipped the Anti-Christ. However, I do believe that it is vitally important for us to be aware of what is going on around us and to be ready for what is coming next. Jesus is coming! The Bride, which is the Church, is to be preparing herself for the Bridegroom, Jesus. Yet while he tarries, there is more work to be done. Believers in Christ need to be fully equipped to share the gospel no matter what persecution may come. 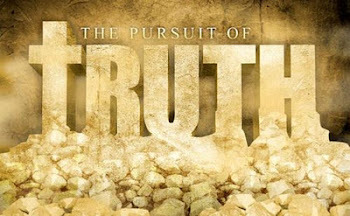 I pray that we will remain faithful to the end…never compromising the truth that is within us, and serving out these last days to build KINGDOM OF GOD for HIS GLORY! Draw near to Him…stay in the word…walk in the Spirit….don’t compromise...resist the devil...put on the armor of God - the Lord Jesus Christ, be faithful, be steadfast, be sober and vigilant, stand in the evil day…. …and LOOK UP! Your redemption is drawing nigh!